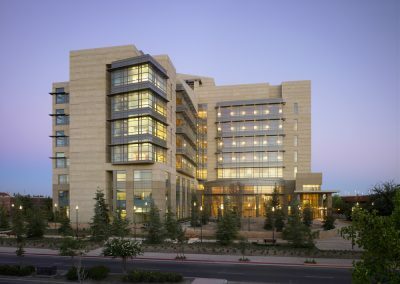 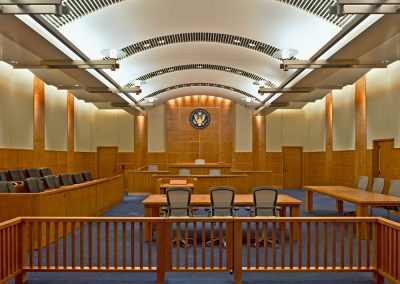 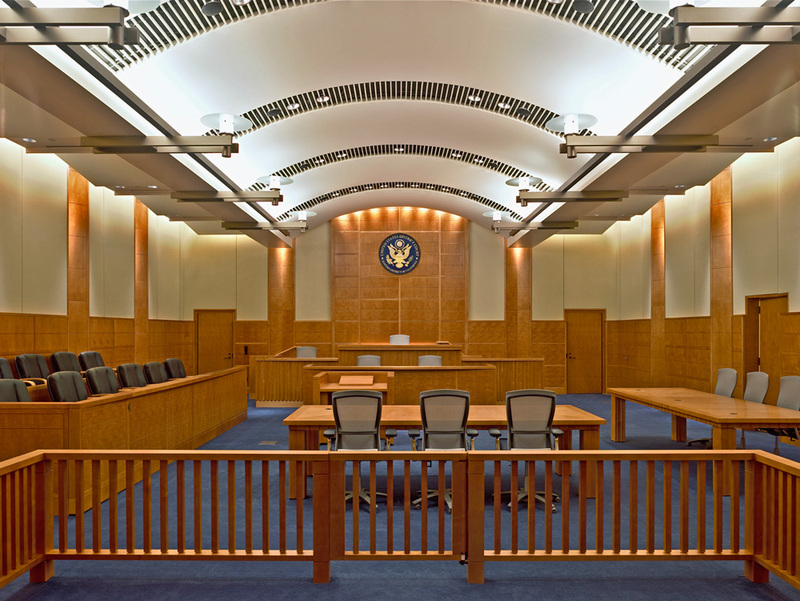 Gruen Associates was the Executive Architect for the $112.4 million new courthouse building in collaboration with Moore Ruble Yudell as the Design Architect. 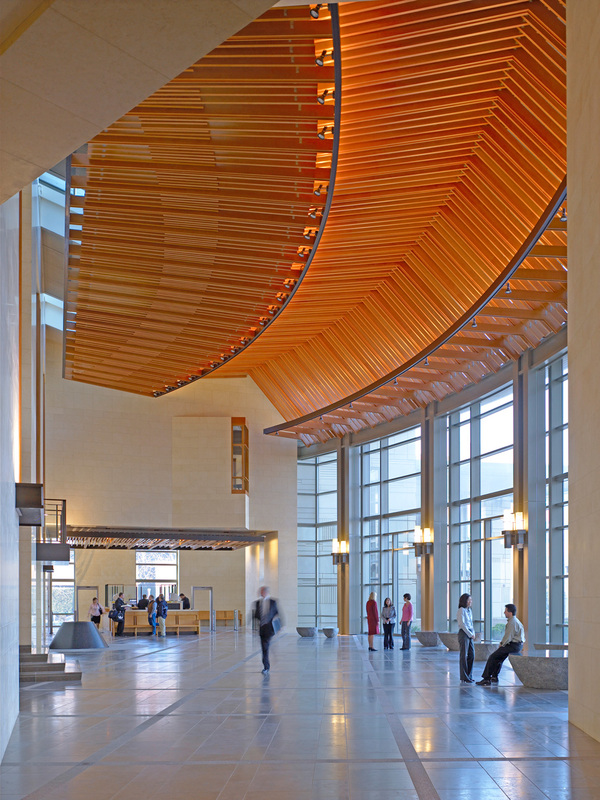 The project was delivered as a “Design-Assist,” the first just done by the GSA. 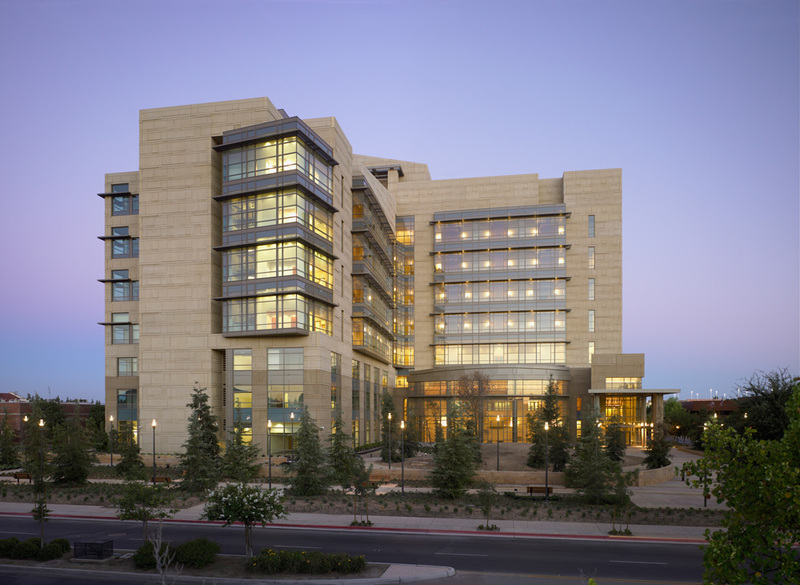 The 475,000-SF, 11-story courthouse is the largest building in downtown Fresno. 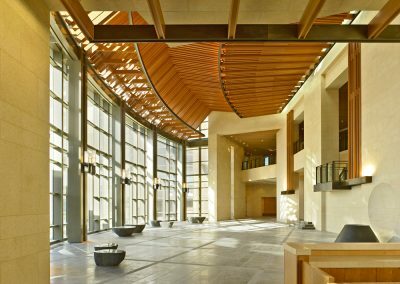 All of the public spaces in this L-shaped building, including the main lobby, overlook a large rustic garden. A major art piece is integrated into the design of both the lobby and the garden. 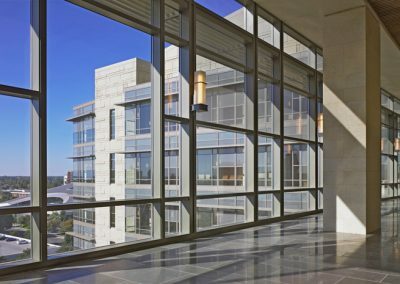 The project incorporates many sustainable design features and includes an access floor system with underfloor air delivery for additional user comfort and control. 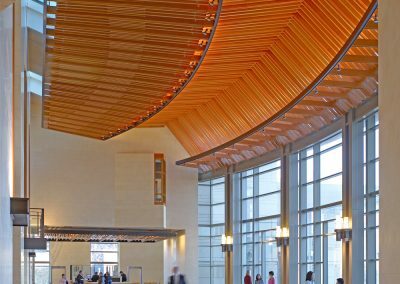 The project meets GSA’s heightened security and blast design requirements.